Avery G. Chazen received his Bachelor of Science degree from State University of New York at Buffalo in 1986. He obtained his Juris Doctor from University of San Diego School of Law in 1989 and was admitted to the State Bar of California in 1990. Mr. Chazen is a member of the State Bar of California and the San Diego County Bar Association. His legal career began as an associate attorney in 1990. He became a name partner with another firm in 1996 and continued in that role until 2007. From 2007 until 2010 he was associate attorney with Dietz, Gilmor & Associates. Mr. Chazen became a partner in 2010 and subsequently a co-founder and partner in Dietz, Gilmor & Chazen. Mr. Chazen has over 28 years’ experience in handling high exposure and complex cases including workers’ compensation, serious and willful, asbestos, and Labor Code Section §132a claims. In his capacity as managing attorney for a large insurance carrier for 11 years, Mr. Chazen established, developed, and managed the workers’ compensation law division in San Diego. He was a faculty member for the national attorney development program, training attorneys in trial advocacy, litigation skills, and workers’ compensation. He has spoken to many employers and claims organizations over the years on a wide variety of topics in Workers Compensation. Mr. Chazen is an aggressive litigator with more than 100 workers’ compensation trials. He is noted for providing outstanding customer service to his clients. 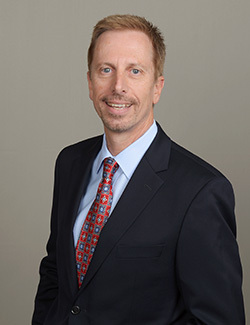 He has been recognized as one of the top lawyers in his field with honors including Top Ranking AV Preeminent by Martindale-Hubbell, one of Top Lawyers in San Diego by San Diego Magazine and has also been nominated as a Top Rated Litigator by the National Law Journal and Top 10% of Lawyers in America. Avery is very active outside of law. He enjoys spending time with his lovely wife and two daughters. He also enjoys a number of sports, both as a spectator and participant. He is from Buffalo, New York and still follows those sports teams hoping that one day the Bills or Sabres will actually win a championship. His current passion is cycling. He has competed in a number of ultra-endurance cycling events where he has ridden up to 200 miles with 15,000 feet of climbing. He is also a master scuba diver, rescue diver and underwater videographer. He has gone on more than 250 dives featuring shipwrecks, a multitude of shark species and night dives.